Welcome to our Smile Gallery. Please enjoy some of our amazing smile transformations, and hear from our actual patients about their experiences before and after the dentist's chair. I have been a patient of Dr.Geylikman’s for more than 5 years. After I developed issues with flossing and tarter buildup due to crowding, he offered me an Invisalign treatment to straighten my teeth. To this day I am glad I did. I would highly recommend an Invisalign treatment with Dr. Geylikman to anyone! 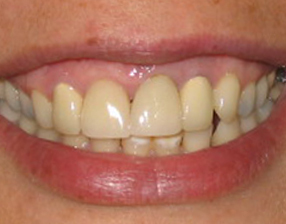 Many people think that misaligned ”crooked” teeth are impossible to correct without conventional braces (I.e. wires and brackets) - in some instances clear aligners from Invisalign can accomplish the correction very easily over the period of 6-9 months. No wires, no discomfort –properly planned treatment using aligners can achieve the results above. My teeth were crooked and had stains. They looked bad. I never wanted to smile and didn't feel confident. I was looking for a dental office that was convenient, professional but most of all that I could trust. I found MG Dental and there I met Dr. Geylikman. He knew exactly what I needed and wanted and recommended veneers and crowns. Now my teeth are white and smile is perfect. Thanks Dr. Geylikman and staff for changing my life. 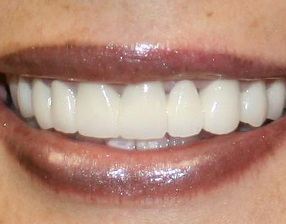 This woman was very conscious about the appearance of her two anterior teeth. Braces were not an option for her. We went through several Treatment plans - finally the decision was made to place crowns on her two front teeth. 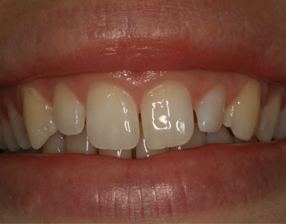 Being a perfectionist, I have recommended to further “tweak” her smile with Veneers and some gingival (gum) correction. However, she was ecstatic about the outcome and didn’t want to do anything else at that time. I have had dental work done both here and abroad. Every time I went in, it hurt. Then I met Dr. Geylikman assured me that it wouldn't hurt, and, at first I was very nervous. But he was right! It was completely painless. I feel very grateful now, because I am not afraid to see the dentist anymore. 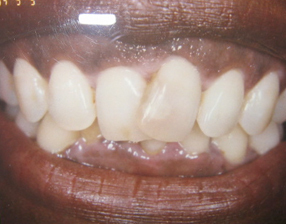 This young man presented with odd looking front teeth. 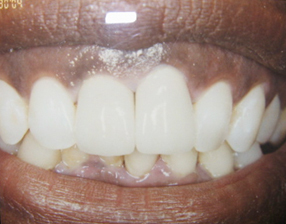 We decided to whiten his smile first, and then two ceramic crowns were placed over the “sharp” looking teeth. 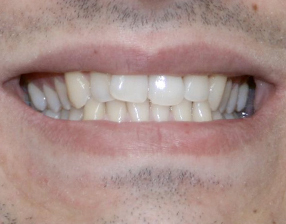 I have suggested to place Veneers on the two central front teeth as well due to discoloration and to close small space in between-however, he refused but mentioned that he would definitely return to better his smile further. Every experience I've had in the dentist's chair has been miserable, until now. Dr. Geylikman is the most compassionate dentist I've ever seen. He understands (and therefore can eliminate) fear and pain. The work he's done on my teeth has been top quality. Add to that his ability to calm the nervous wreck in the chair and you have a combination of skills that can't be beat. This older gentleman came in to our office complaining that his bridge on the lower left side came loose. After careful examination we discovered that the teeth supporting the bridge are no longer salvageable. Implants or partial denture were the only alternatives. 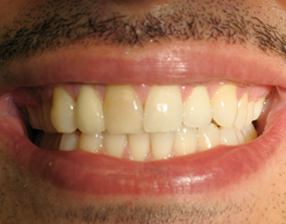 He stated that he couldn’t wear a removable denture therefore implants were the only choice. 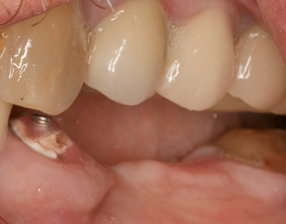 Two implants were positioned in place of extracted teeth. 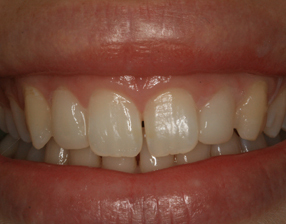 After 4 month s healing period a new bridge was fabricated and fitted over implants. 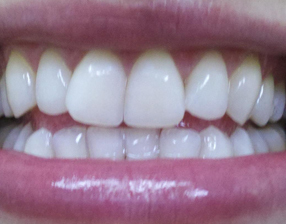 Dr. Geylikman is a fantastic dentist, he did porcelain veneers and porcelain crowns on all my teeth, top and bottom. 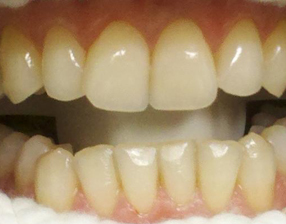 The results were great, I always get compliments on my smile. I wish I had it done years ago!!! 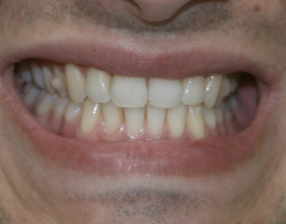 This patient presented with some ill-fitting crowns, “gummy “smile and dark teeth. We completely rejuvenated her smile with some gum recontouring and replacement of her old crowns with lighter colored metal free crowns. The result was phenomenal! 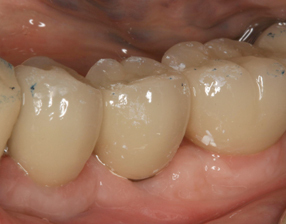 This was a true comprehensive case where multiple dental procedures were used. 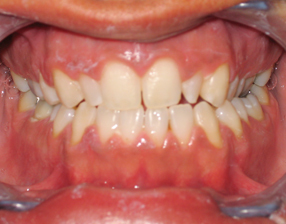 This patient is an 18 year old girl who was self-conscious about her spaces between her front teeth.